Charlie Stavely grew up in a very small Mississippi town called Kilmichael. It was a common upbringing in the 1960’s not very different to Mayberry. He rode his bicycle to baseball practice, picked up Coke bottles on the road side to get money for candy at the grocery store. He threw rocks at snakes in the pond and hardly wore shoes in the summer. He later achieved his dream of playing college football at Delta State University, where he lettered four years as an offensive guard and gained a Chemistry degree. After football he answered a quite urge to go to dental school at the University of Mississippi. Upon graduation he moved to Pensacola to make it his home. He always says that Pensacola felt like home from day one for him. Dr. Charles Stavely has been in dental practice in Pensacola since 1985. He is located at 1560 Airport Blvd. His practice focus has been on children’s dentistry, cosmetic dentistry, and restorative dentistry for adults. His special interest has become sedation dentistry for special needs patients. He sees his dental talents as a gift from God, to be used as long as he is physically able. He hopes that when he meets the Lord he is totally worn out, and that his body and life have been spent wisely. Dr. Stavely has participated in several dental mission trips to Central America to improve the condition of many people there. He and the dental team have traveled to Costa Rica, Panama, and Jamaica. Often the dental clinics are set up in jungle or makeshift settings. 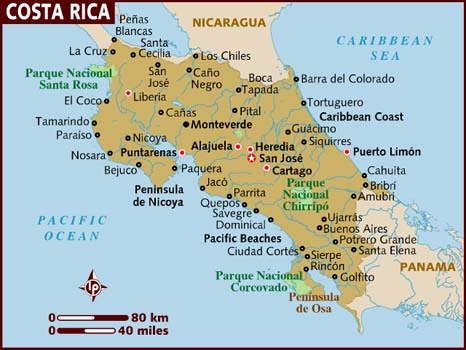 On one such trip the dental team was treating Guyanese Indians in Costa Rica very near the Panama border. The dental clinic was set up in a central meeting place deep in the jungle. The structure had a concrete floor, thatch roof and no walls. Each day the local Indians would line up early to have their teeth cleaned, filled, or extracted. Dr. Stavely had accepted the task of doing all necessary extractions for the mission team that week, and things were going well. On the second day of the clinic a hush came over the usually noisy crowd. When asked what was going on, the local missionary said the witch doctor was there and he was scaring the people. Dr. Stavely and others had never seen an actual witch doctor and wanted to get a look. He was an old gray man, probably in his seventies. He wore an old felt hat and had tattered clothes. He carried a staff to help him walk. As Dr. Stavely took in the sight of the old man, someone whispered in his ear that the witch doctor was there to have a TOOTH PULLED. Immediately, Dr. Stavely knew that meant he would be removing a tooth from the witch doctor! The procedure was completed without incident. Dr. Stavely says he remained in prayer as the tooth was removed. Also, it was aided by the circle of praying missionaries around Dr. Stavely, the witch doctor, and the dental chair.